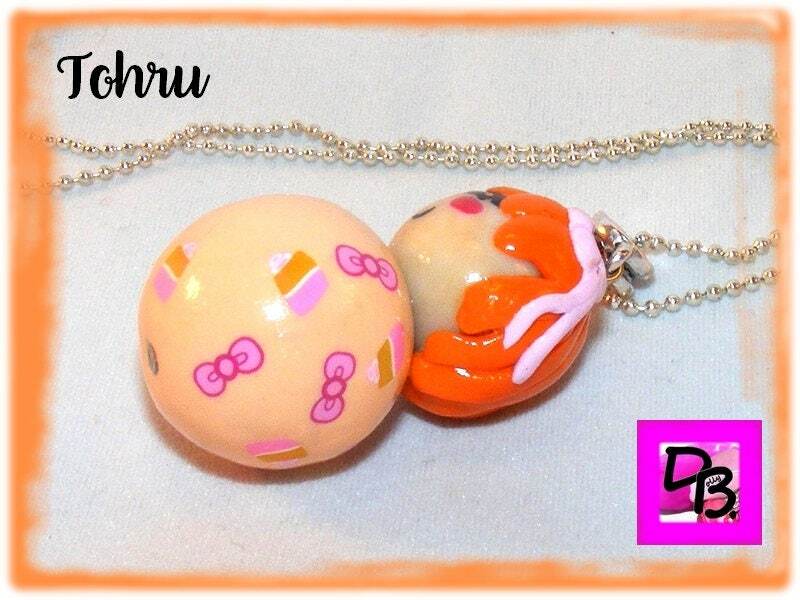 necklace made of polymer clay kawaii manga doll. 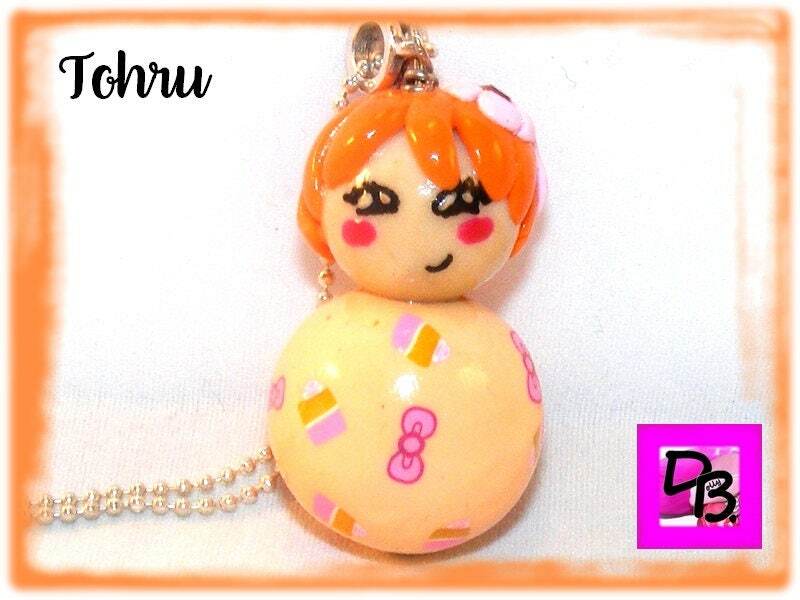 Tohru is made entirely by myself with polymer clay. 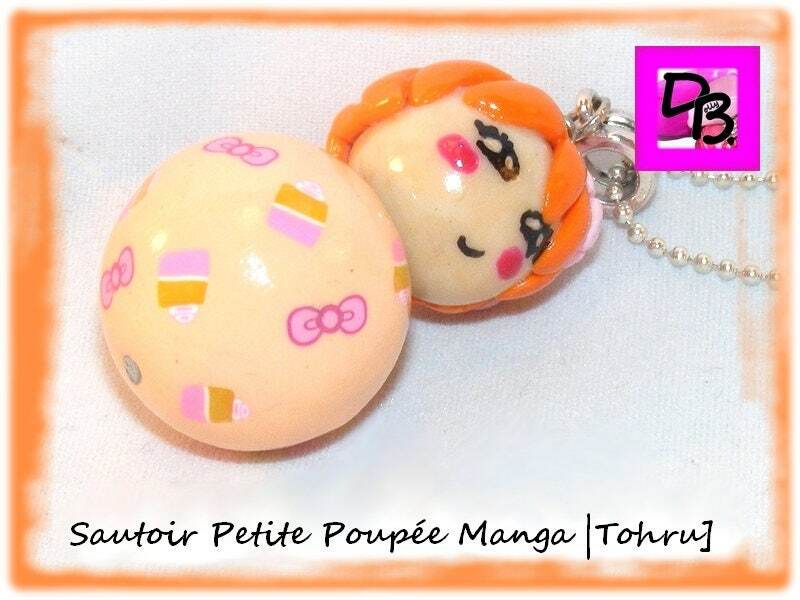 Two wooden beads serve as support to the head and body, allowing for a handmade with polymer clay, the beads are hollow and covered with clay. Face bead is hand painted, and one that makes up his body is decorated with various canes, small knots and small slices of cake. Her hair as it is adorned with a Crystal rhinestones nestled inside a pretty flower barrette. For this doll making, cooking was necessary to every step of Assembly parts between them. To finish, the doll is coated with several layers and ironed in the oven for optimal hold. If you want a different length, just tell me when ordering. All metal parts of this necklace contain lead, nickel or cadmium. This necklace will be delivered ready for gift giving in a pretty pouch. My label SRAJD No. 3784 (Self Representing Artist Jewelry designer) brings you this necklace is unique, designed and made by me as all my creations. 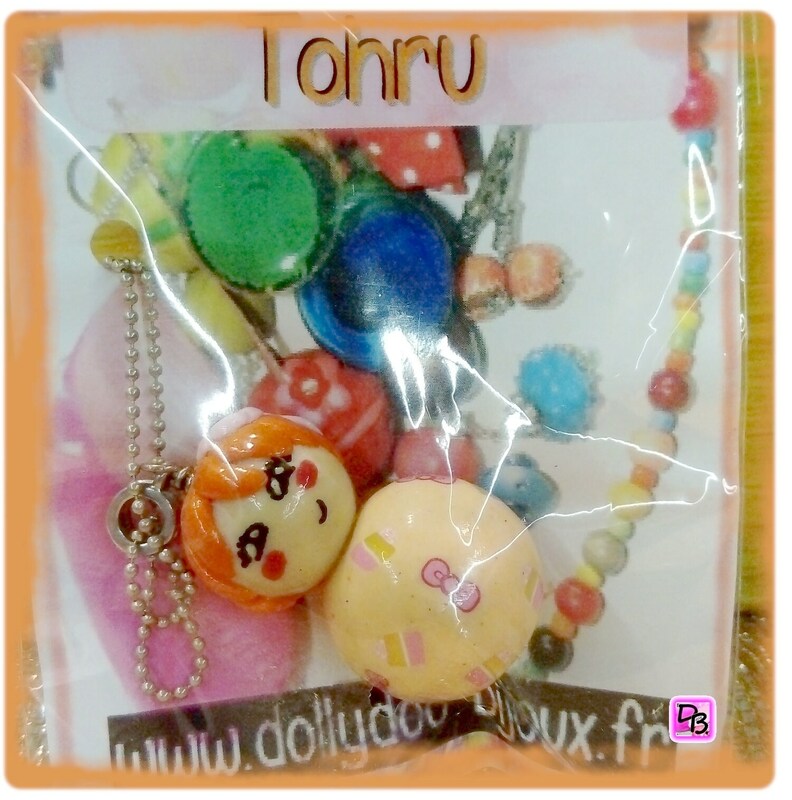 Find us on https://www.facebook.com/dollydoobijoux for our latest and discover our latest products and creations.